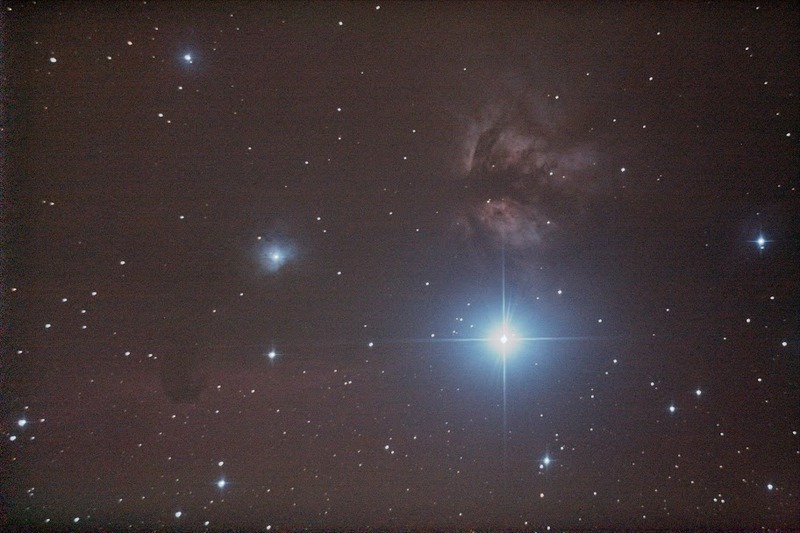 On this page I will post my images of nebulae. This is a very common beginner's imaging object. This is a very bright nebula and the only one in the northern hemisphere that can be seen with the unaided eye. 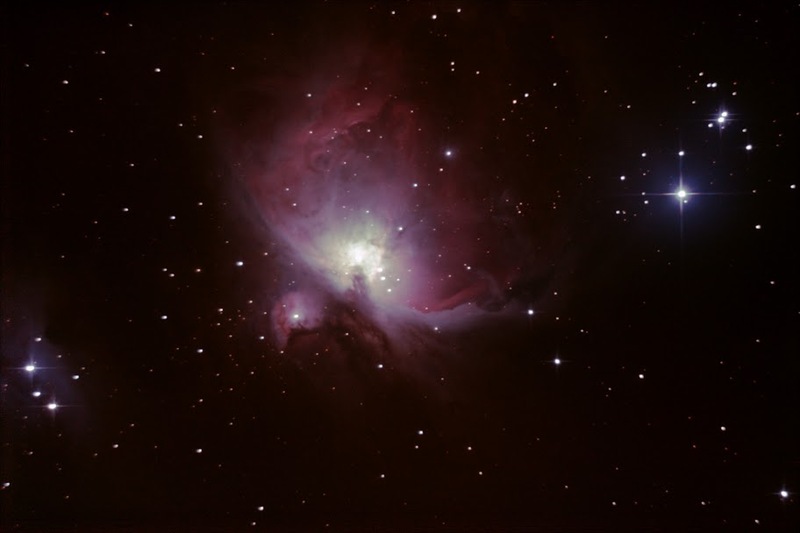 It is located in the constellation of Orion and forms part of Orion's sword. The bright star is Alnitak, the left-most star of Orion's belt. Just above it is the Flame Nebula and towards the bottom left of the picture you can just about make out the outline of the Horsehead nebula. This was actually just a test but it turned out quite well considering the short exposure.